Schizonepeta tenuifolia (Korean name “Hyung-Gae”) is an oriental medicinal plant that is widely used in Korea, China and Japan. S. tenuifolia (Hyung-Gae) has many pharmacological activities and is mostly used for many medicinal preparations. The dried aerial part (spikes and stems) of three oriental medicinal plants, S. tenuifolia (Hyung-Gae), Agastache rugosa (Kwhak-Hyang) and Elsholtzia ciliata (Hyang-Yoo) belonging to the same family, mint family Labiaceae, have such similar shape and smell that it is difficult to differentiate between them. The trnL-F regions of chloroplast DNA of the three medicinal plants were sequenced and used as targets in multiplex PCR reaction to identify S. tenuifolia. After alignment of trnL-F sequences of the authenticated plant samples, one single nucleotide polymorphism (SNP) specific to S. tenuifolia was found. Based on this SNP, a new primer was designed that specifically amplifies the trnL-F region of S. tenuifolia. 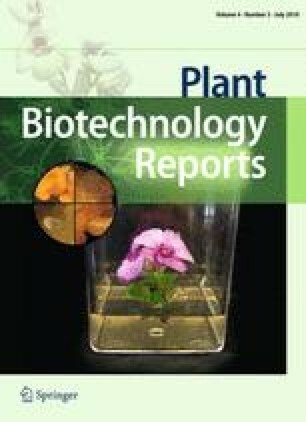 The established multiplex-PCR was proven to be effective in the differentiation of commercial S. tenuifolia samples from A. rugosa and E. ciliata. This rapid and accurate molecular method is highly promising for use in the food industry. This study was supported by KGCMVP for Technology Development Program of Agriculture and Forestry, Ministry for Food, Agriculture, Forestry and Fisheries, Republic of Korea and was also supported by a grant (07092KFDA335) from the Korea Food and Drug Administration.